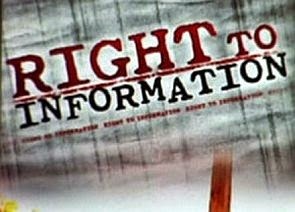 The National Campaign for Peoples’ Right to Information (NCPRI), India’s apex body of right to information (RTI) NGOs in India, has taken strong exception to failure of the Government of India to appoint a new chief information commissioner (CIC) in the Central Information Commission of India, ostensibly because of the deadlock over leader of opposition in the Lok Sabha. Saying that this may be a requirement to appoint CIC, the NCPRI in an open letter has reminded Prime Minister Narendra Modi that the RTI Act gives clear-cut explanation on this, and there is no ambiguity about it. Asking Modi to take “immediate steps to appoint a Chief Information Commissioner in the Central Information Commission in a transparent manner”, the NCPRI reminds him, “You have repeatedly stated your resolve to make India corruption free, a resolve which can only be realised if the government functions in a transparent manner.” For this, “it is critical that the RTI Act, which guarantees citizens the right to access information from public authorities, is effectively implemented. This would be possible only if the adjudicators -- the Information Commissions -- function properly”, it adds.